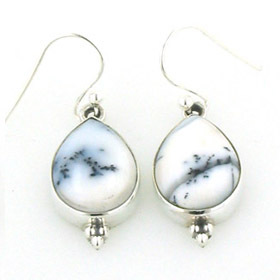 Dendritic agate earrings set in sterling silver. 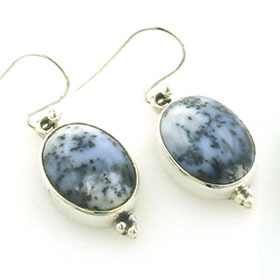 Classic, elegant and utterly irresistible, these are earrings you'll wear often. 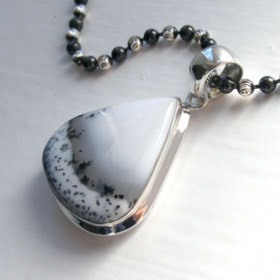 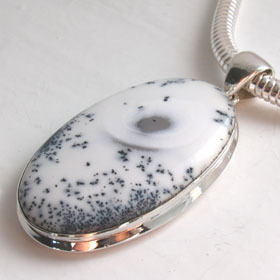 Dendritic agate is a dramatic semi-precious gemstone combining white, greys and black into snow landscapes. 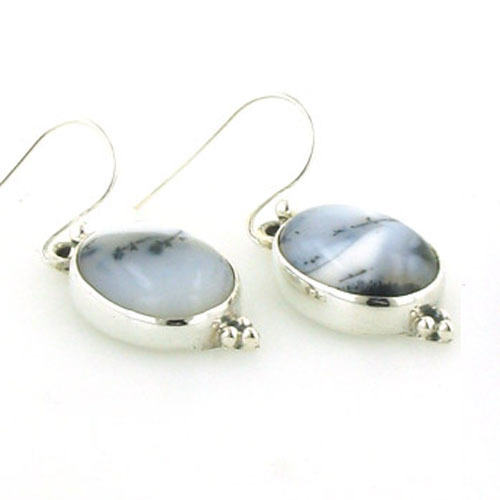 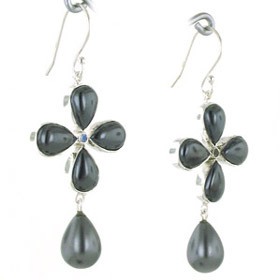 These particular gemstones have areas of translucency in the stones. 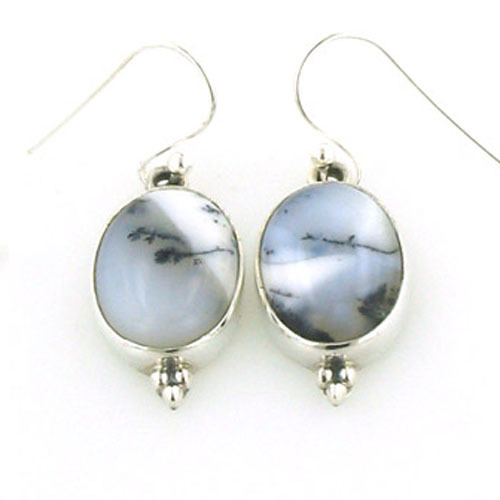 Their fascinating inclusions are unique. 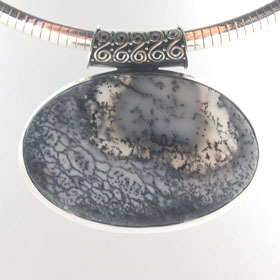 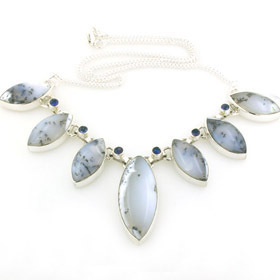 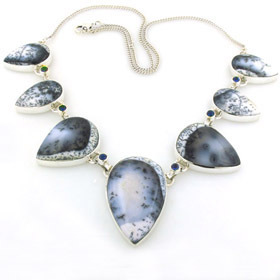 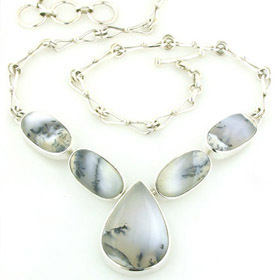 For a matching necklace, see our dendritic agate necklaces.